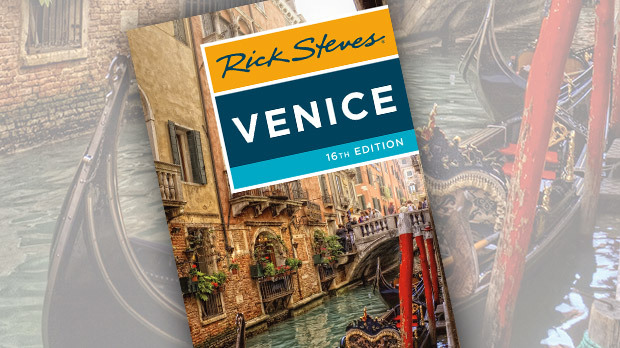 I've been traveling to Venice for more than 30 years. 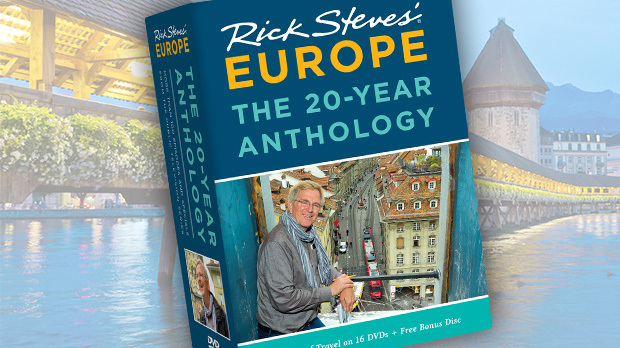 On a recent trip to film two television shows and research my guidebook, the city felt different. While still one of Europe's most romantic and distinctive destinations, globalization and modern life are changing Venice — for better or worse. As I wandered Venice's meandering streets and canalside walkways, it became obvious just how much the city is changing. More multilingual menus featured Cyrillic, thanks to a huge increase in visitors from Russia. Litter grew out the tops of garbage cans like bums with bushy heads of hair. The tourist thoroughfares, such as the lanes between St. Mark's Square and the Rialto Bridge, were as crowded as ever, if not moreso, but in the evening, all that bustle was completely gone. When I commented on this to some locals, they explained that many tourists now blitz in for the day from cruise ships and cheap mainland hotels. 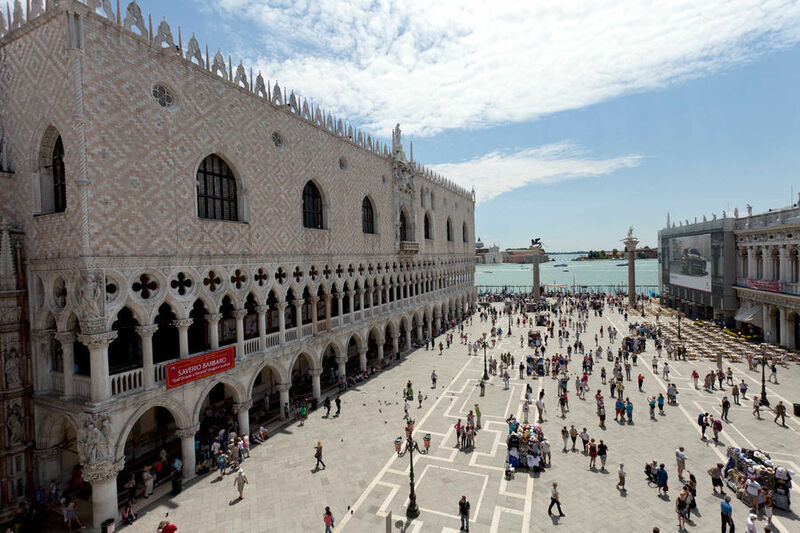 While tourism continues to keep Venice afloat, fewer overnight guests and dinner-time restaurant customers mean that the tourist trade is no longer as lucrative for the people living in the heart of the city. Though tough for local businesses, this can be a good thing for travelers willing to hunker down in Venice for a few days. While midday crowds fill the streets and blockbuster sights, mornings and evenings are serene. Getting up for a 7 a.m. film shoot, I was struck by how St. Mark's Square was an entirely different experience without the mobs. At Caffè Florian, the most venerable café on St. Mark's Square, the manager lamented how, in the last decade, the café's elegance has been trampled with poorly dressed tourists (which describes me fairly well, I must admit). Still, I love this place, with its smoke-stained mirrors, white-tuxedoed waiters, and finicky piano and string quartet, which somehow gets called an "orchestra." While you can enjoy a romantic drink here with live music and all the tourists, a quiet cup of coffee in the morning, surrounded by the patina of faded elegance, is also a treat. In so many ways, when you get up early and stay out late, you enjoy a different, and it seems more real, Venice. Likewise, on the vaporetto water buses, there's a stark contrast between the midday/rush-hour mobs and the easygoing joy of riding at quiet times. Venice is two cities: one garishly touristy and the other so romantic and tranquil that it makes you go fortissimo in describing it. It's not just cruise ships that are changing Venice — globalization is, too. The city has long been known for its exquisite glass, produced on the isle of Murano since 1292, when the furnaces were moved to prevent fires on the main island (and to protect the secrets of Venetian glassmaking). The island's factories still produce ornate vases, beaded necklaces, and other goods. But these days, many glass trinkets being sold to tourists are made in China, and it's undercutting the economy of the local glassmakers. There's a strong push to encourage people to buy genuine Venetian glass with the Murano seal. In this new, more diverse Venice, sometimes it seems that restaurants and market stalls are run by as many Sri Lankans and Chinese as Italians. If you see a wedding party posing in front of a famous sight, it's most likely the family of a big shot from Russia or China. Odds are that the strolling accordionist trolling for tips at your dinner table is Romanian. Venice's resident population continues to drop, thanks in part to the challenges of raising a family here. Imagine living in a small, expensive apartment that occasionally floods or pushing a stroller over arched bridges while carrying groceries. One pharmacy here hosts an electric reader board in its window that ticks down with each Venetian who moves away or dies. On my first day of this visit it read 58,759. The next day it was 58,756. 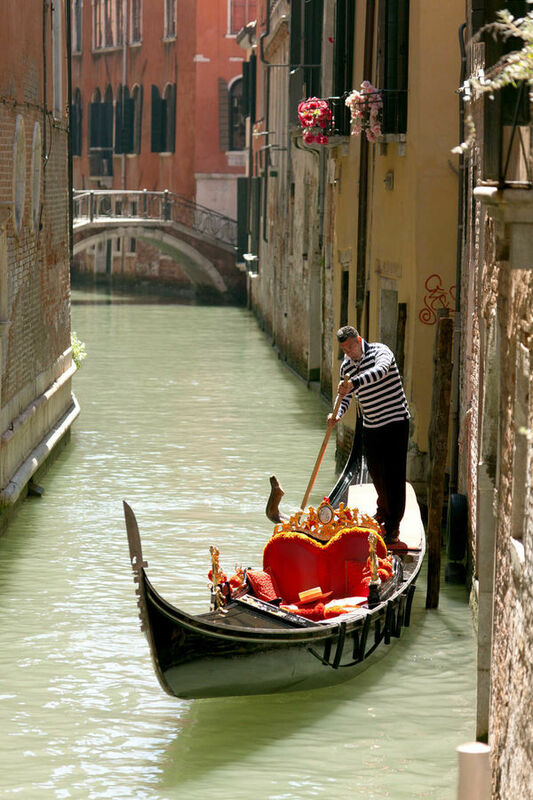 In many ways, Venice seems built for romantics. But romance isn't what it used to be either. It seems there aren't even lovers on gondolas anymore. Everyone is too busy reading their phones or looking into their cameras. Desperate to capture for our TV show someone kissing on a gondola, I walked briskly along a canal to get ahead of what I thought was a potentially romantic couple. I got their attention and acted out a charade of kissing. The man pointed to the woman and mouthed with silent yet exaggerated motions, "She's my daughter." Despite all the changes, Venice still awes me with its ethereal beauty and lovely views — which can hit you from any direction (literally — always look both ways after crossing over a Venetian bridge). If you pause anywhere in Venice and simply observe, you'll witness the one-of-a-kind wonder of this forever-unique city on the lagoon.